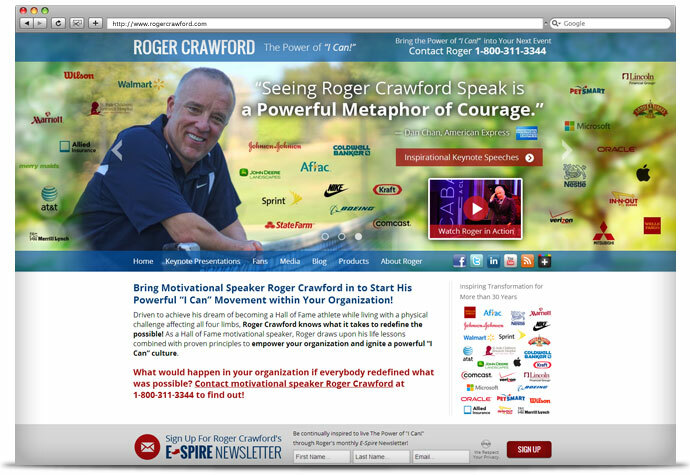 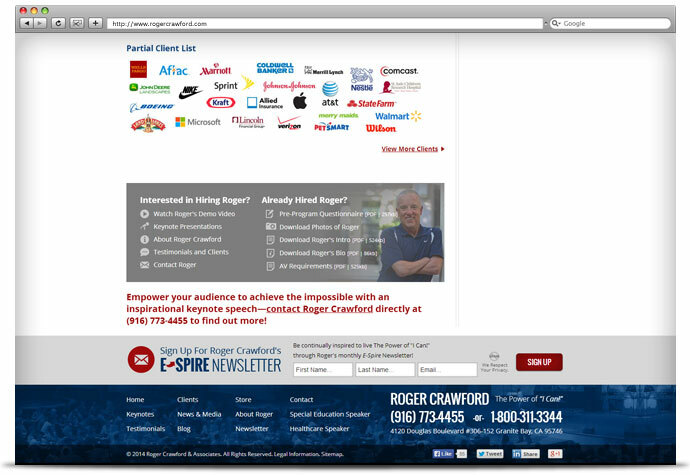 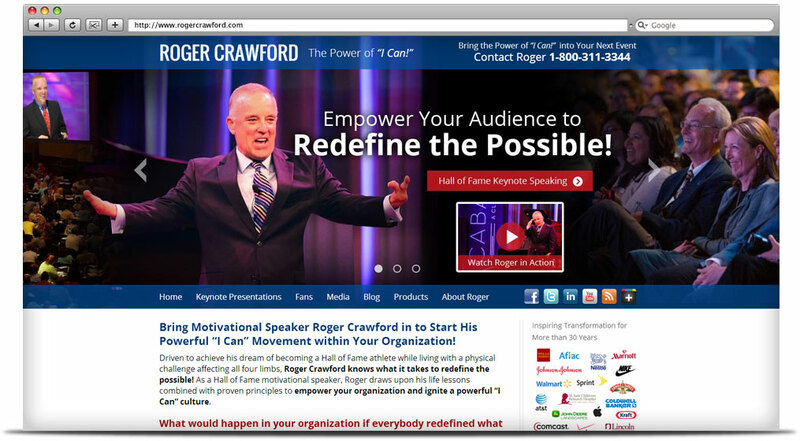 When it comes to a recent client, Roger Crawford, it’s hard to know where to begin. 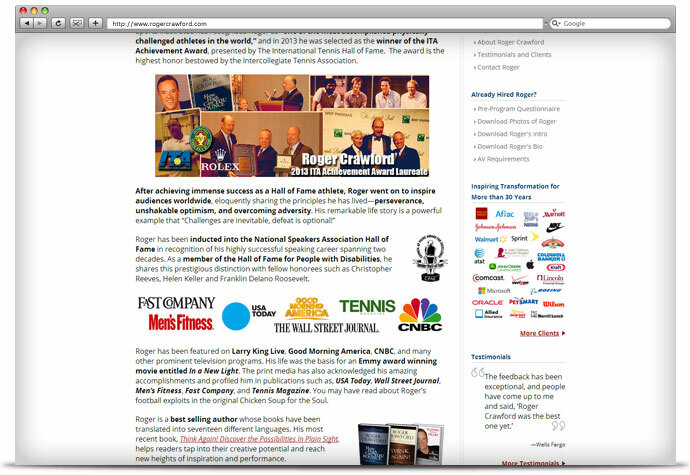 As one of the most accomplished physically challenged athletes in the world who has gone on to inspire thousands, our whole team felt honored to produce a new website for Roger. 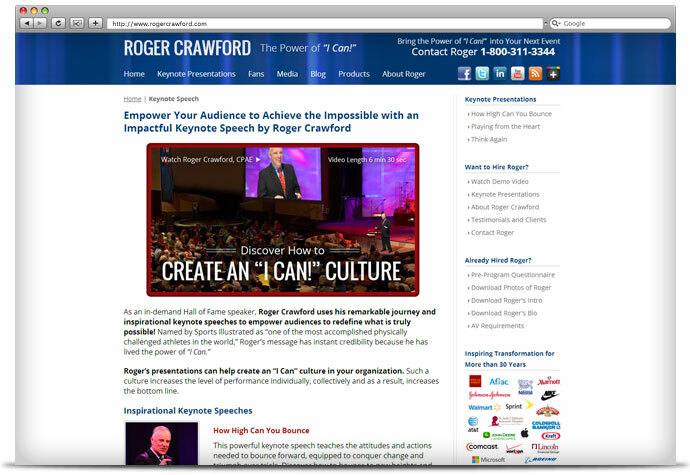 Our main goals were to freshen Roger’s image, increase targeted traffic, increase leads, increase conversions and monetize his unique expertise. 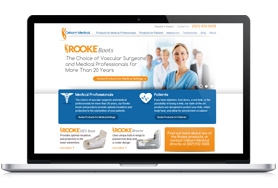 Our work included new marketing copy, SEO, a custom design, social media integration—all on a new WordPress website platform. 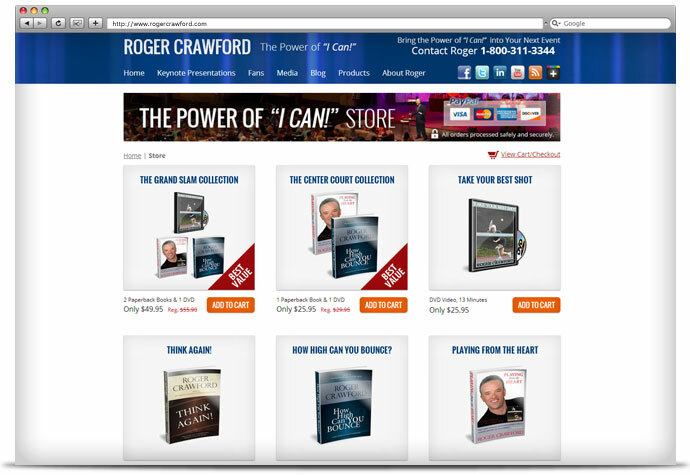 We think the results say it all!